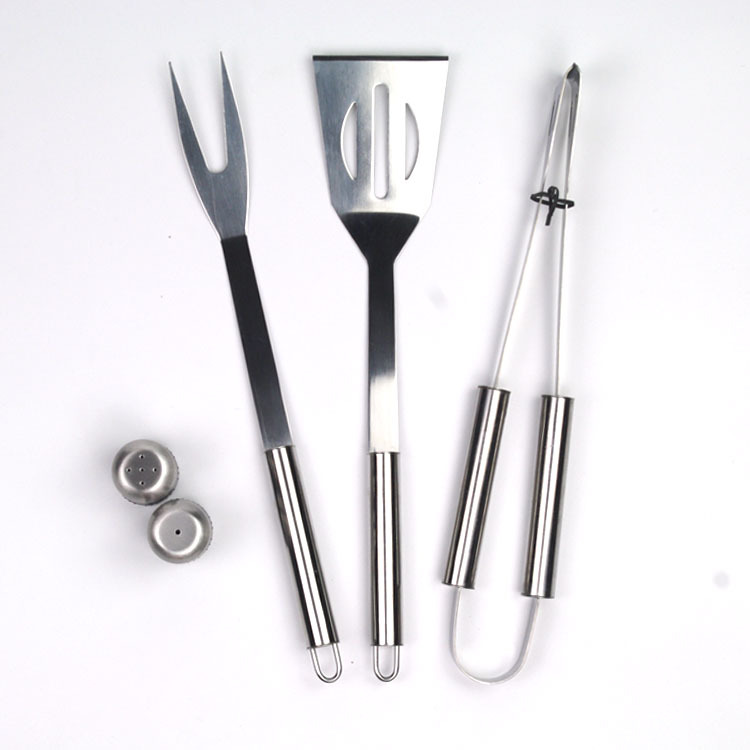 The 5pcs Bbq Tools Set including the 2pcs salt and pepper shaker, slotted spatula,Bbq Tongs, bbq fork. 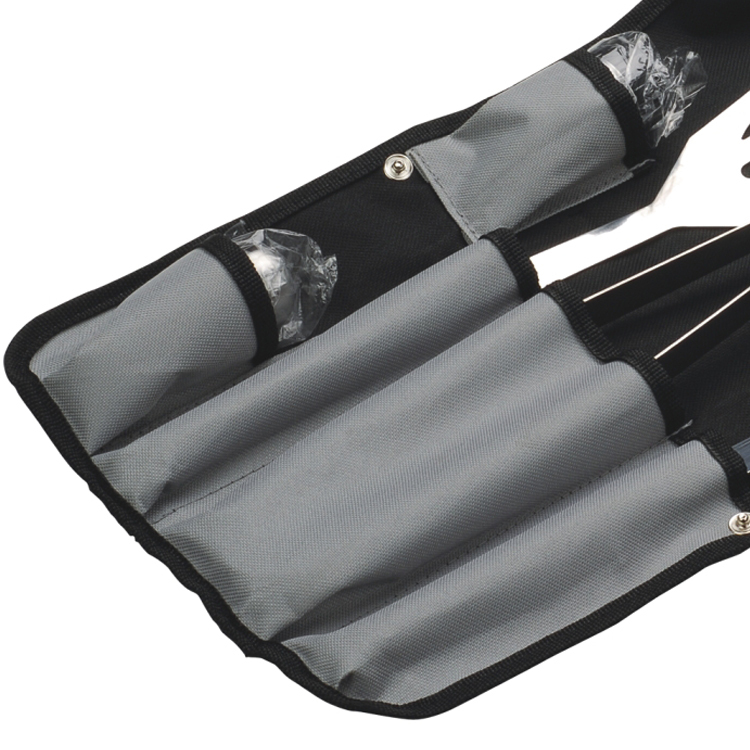 As soon you remove these deluxe tools from the gift box quality packaging, you'll immediately notice the perfect heft and comfortable contoured rubber grips. The fork and spatula are each made of a single long piece of beautifully brushed stainless steel, while the BBQ Tongs consist of 2 pieces joined together at a spring loaded hinge. 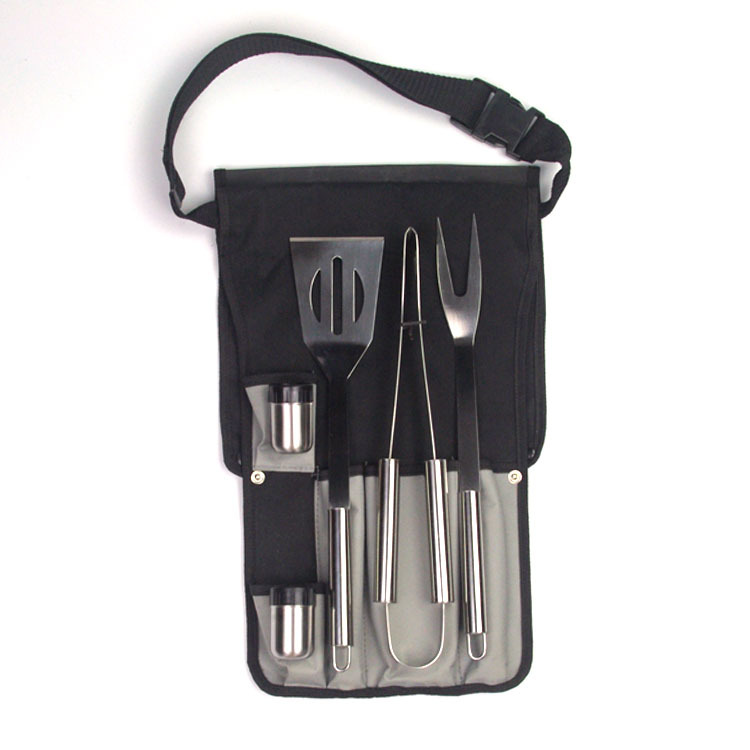 With these Grill Tools Set you will not only own the grill, but also look good doing it! 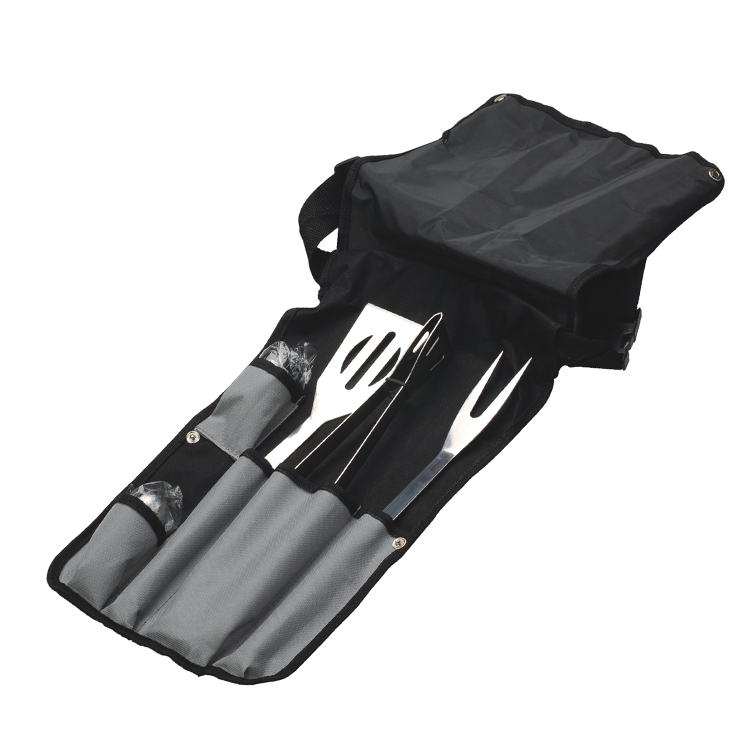 Looking for ideal Nylon Bag Bbq Set Manufacturer & supplier ? We have a wide selection at great prices to help you get creative. 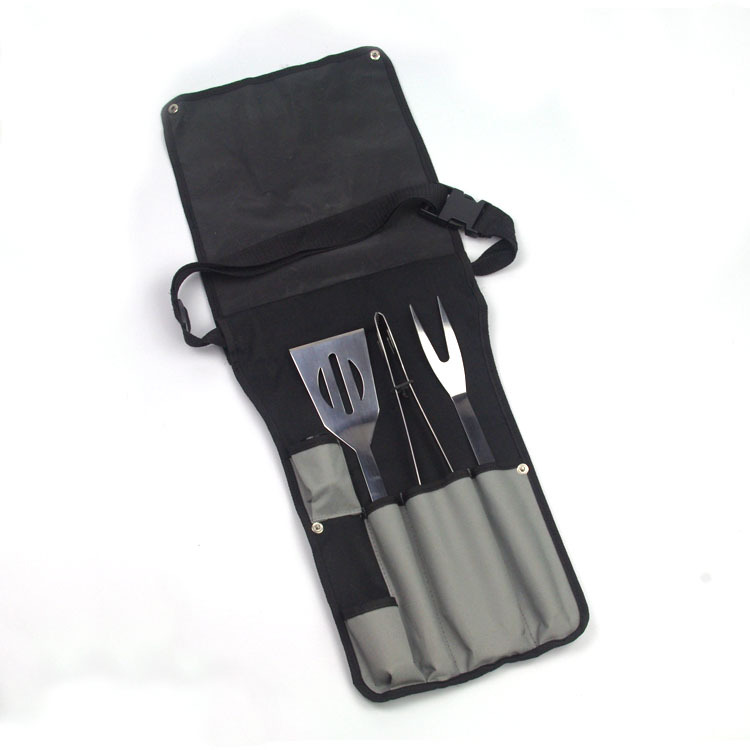 All the 5pcs Barbecue Set are quality guaranteed. 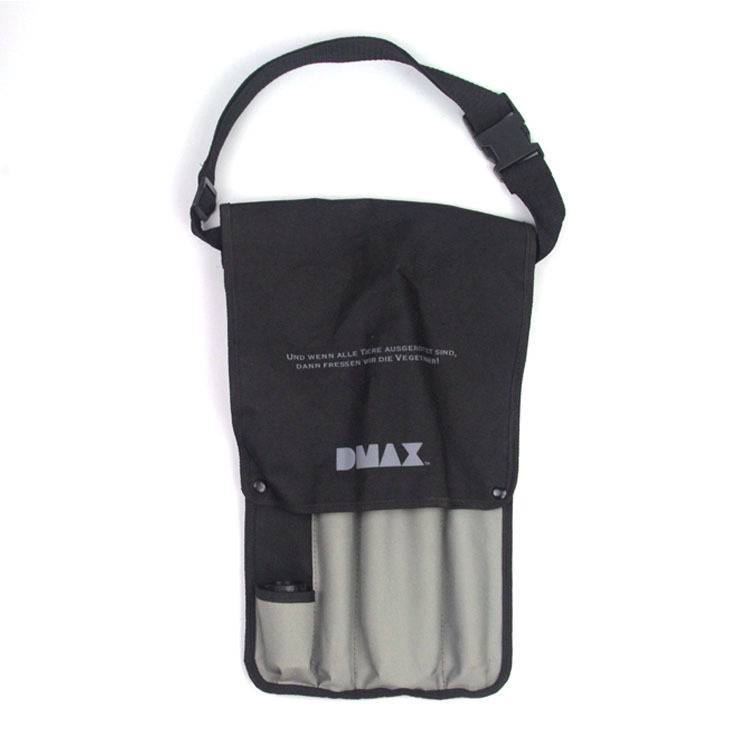 We are China Origin Factory of 5pcs in Nylon Bag. If you have any question, please feel free to contact us.